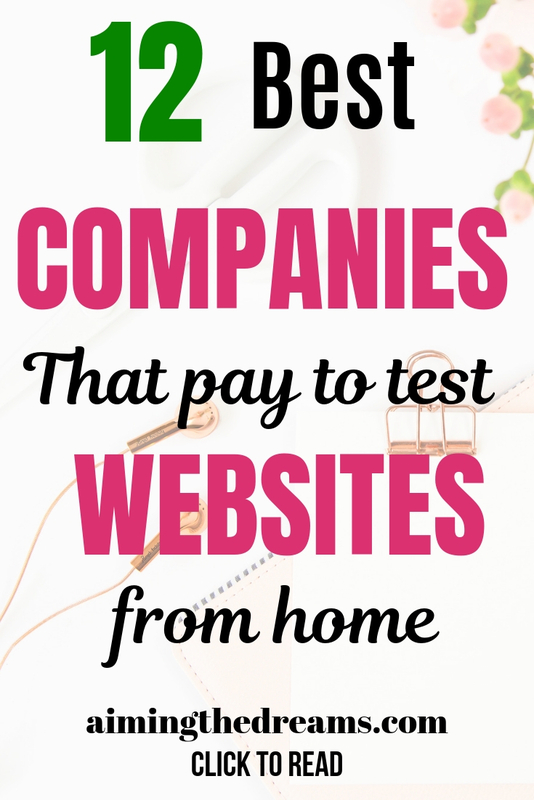 Some companies pay money to test websites from home. If you can spare some time for these, you can earn extra 500 dollars a month . Making money while staying at home had been never so easy. In this era of internet , it is really easy to make some extra money to supplement your income. Disclaimer: This post contain affiliate links which means I may get compensated if you buy through my link with no extra cost to you. If you want to supplement your income or you want to stay home with your kids then you really want to find some ways to earn some money. Proofreading can really make you some money while staying at home. General Proofreading course by Caitlyn of Proofread Anywhere can teach you the skills you need to become a skilled proofreader. 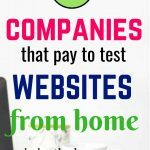 How to make money by testing websites ? Website testing companies send websites and apps to testers and ask for honest reviews bout the website. It is to test how navigation works and how website users would be able to use that particular website easily. Some companies may need you to install a software to record your voice and navigation. You should have a basic knowledge of English as you may have to give your opinion by writing your views. 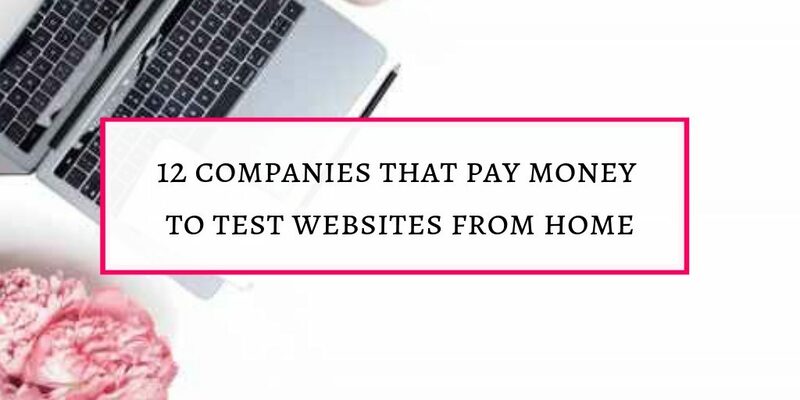 1.Usertesting: This is the most trusted company which pay users to test websites and for giving their honest opinions. The payment is around $10 for 20 minutes. Because the tests normally take 15-20 minutes to complete. 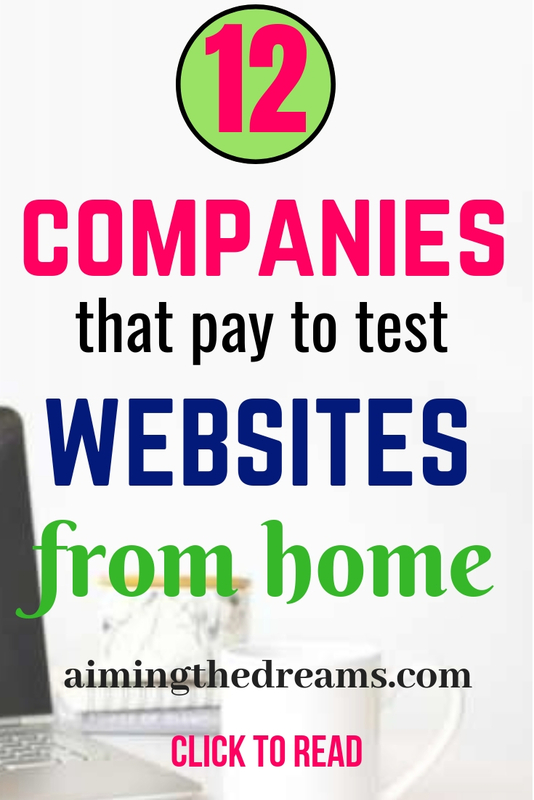 Get paid to test websites before they get publish. You can take tests on any device and phone, tablet or PC. They pay through Paypal and the tests are similar as with Usertesting. TryMyUI is similar to other website testing companies. They pay you for the test you take and your honest, detailed review. You get to paid $ 10 for a test of 20 minutes. You need a microphone, Webcam, Computer and good internet connection to test website with this company. Tests take around 15 to 20 minutes but you have to record while doing the test. Payments are made through Paypal as soon as you complete the test and it is approved. Userzoom require you to have a good working PC and mobile as well as a good internet connection. Payrate is 5 – 10 dollars per test. You need a microphone, computer and good internet connection to use this company. When you sign up , you have to download their recorder. After signing up you will start getting website tests. They pay around $ 5 for each test you complete. They pay through Paypal. This company also pays around $ 10 for a test of 15 – 20 minutes which is a good pay rate. Payments are sent through Paypal. This is similar to other website companies and pay for the test which takes 10- 15 minutes to complete. They pay bit late as it takes around 10-14 days to get your payment. Validately pay $ 5 for simple tests but also offer live tests where you have to share your opinion on phone with a live screen shared with a moderator.Here the payment is around 25 dollars for 30 minutes. Money is paid after 5 business days. This company is around since 2008. It pays you to complete tests. Though the pay rate is not as good as others. It means you get to pay around 6 to 10 dollars for every test you complete. Userinput provides website testing through Amazon Mechanical Turk. This company pays you around 5 dollars per test you complete. These are the companies which provide website testing services and send tests to testers through emails. After completion of tests they pay from 5 to 10 dollars per test which takes around 15 – 20 minutes to complete. Please share this if you find it useful and think it may help somebody who want to make money from home. I will be really thankful to you.